With the Independent Mortgage Bankers Conference happening in Nashville this week, we thought it was a good time to take a look at independent lenders who use Marksman in their everyday work, and show some statistics and data surrounding those lenders*. Looking at the data, one of the first things to stand out is just how many Marksman users are actually independent lenders. Over half of our users are independent, and of those 57% percent mentioned, they have 30% more loan officers than our non-independent users. Because of all of Marksman’s secondary desk tools, larger independent lenders with more loan officers don’t have to sacrifice the ability to communicate and bring in prospects, and the more streamlined internal communication that comes from those tools allows for teams of loan officers to work together, and actually handle more prospects than they could normally. 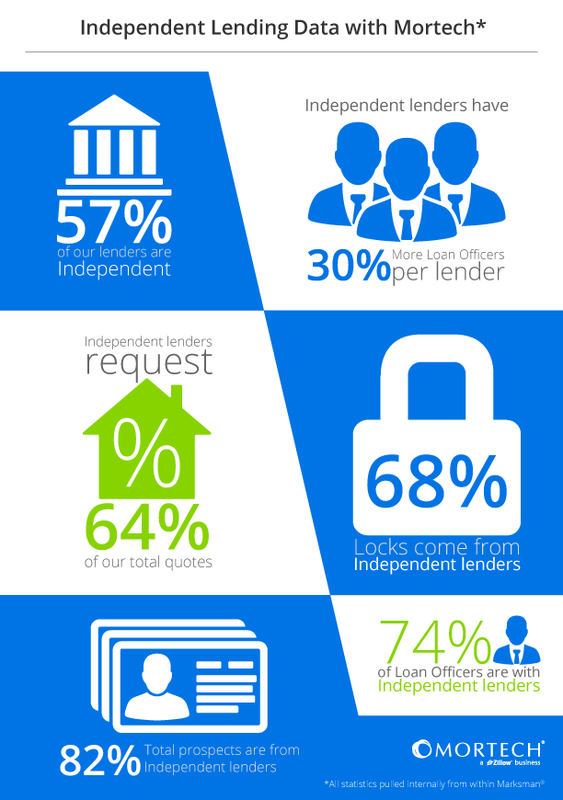 Independent lenders bring in 82% of all total prospects within Marksman. With so many prospects to maintain, utilization of the robust CRM tools within Marksman becomes key to independent lenders’ success within our mortgage pricing engine. By using things like custom email campaigns, rate trackers, and our unique dialer system, Marksman users can originate and maintain relationships with incoming and current prospects, and ensure that no lead ever goes without the attention it needs. To find out more about Marksman and how you can access all of the tools and features it provides, you can schedule a demo with us today. Or better yet, if you’re going to the Independent Mortgage Bankers Conference this week, you can schedule a meeting with us. We hope to see you there!